BRYAN EATON/Staff photo. 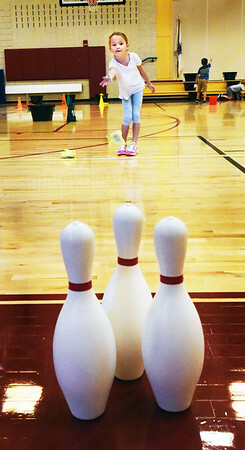 First-grader Addison Forrest, 6, takes aim of some bowling pins with a bean bag in physical education class at the Bresnahan School in Newburyport. They were at different stations throwing underhand to work on their eye to hand coordination.